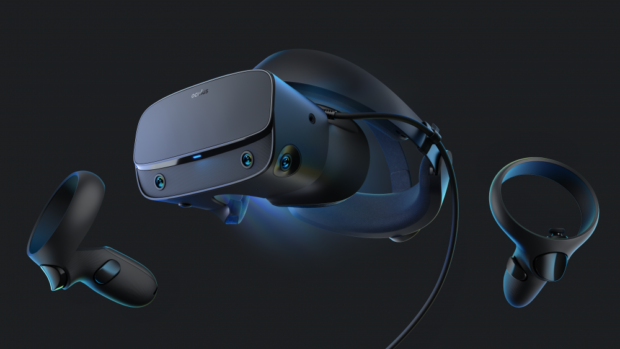 Oculus VR has just unveiled its next-generation Rift headset Oculus Rift S. The result is a new VR device that is more comfortable, a new high resolution 2560×1440 screen with improved optics, face slider IPD adjustment, improved ergonomics, and most importantly Inside Out Tracking, like Windows Mixed Reality headsets, meaning you now no longer need beacons and lighthouses, and features the same inside-out tracking system that will ship on Oculus’ upcoming standalone Quest headset, which the company calls Oculus Insight. That way, you won’t need cumbersome cameras to enable full-body movement. The US price for Oculus Rift S will be $399, available in this Spring.